Seventeen-year-old singer/songwriter Katie Kilcullen will perform at Angelica's Bistro in Redwood City on Sunday, Jan. 10, at 7:30 p.m. Courtesy of Angelica's Bistro. This week, check out 17-year-old San Mateo singer/songwriter Katie Kilcullen at Angelica's Bistro in Redwood City, Dave Massolo's black and white photographs from his travels at Gallery 9 in Los Altos and a two-hour improv workshop at the Dragon Theatre. Dave Massolo's photography will be on display at Gallery 9 in Los Altos during the month of January. The professional photographer focuses on form, space and color in his current series of photographs, which includes landscapes and other subjects from his travels. The exhibition is open Tuesday to Saturday, from 11 a.m. to 5 p.m., and Sunday, from noon to 4 p.m. Go to gallery9losaltos.com. Is simplifying your life one of your New Year's resolutions? Learn about the future of waste and how to reduce it in your life with Angie Coiro, who will be leading a panel discussion with Dan Knapp, founder and CEO of Urban Ore Inc., a materials recovery facility; and Bea Johnson, author of Zero Waste Home, on In Deep Radio Live at Kepler's in Menlo Park. The event, which is free to the public, is on Wednesday, Jan. 13, at noon. Go to keplers.com/event. Seventeen-year-old singer/songwriter Katie Kilcullen will perform at Angelica's Bistro in Redwood City on Sunday, Jan. 10, at 7:30 p.m. The San Mateo resident has been writing songs since she was 11. To preview her music, visit Kilcullen's SoundCloud page. There you can listen to five recently recorded songs, which will be released on her debut EP, "Blank Canvas." Tickets for the dinner show cost $14 online and $20 at the door. Go to angelicasllc.com/event. Interested in the art of improv? Learn the basics from Terry Sandke in this two-hour workshop at the Dragon Theatre in downtown Redwood City on Tuesday evenings, 7-9 p.m., through Feb. 9. All skill levels are welcome. Sandke, who has been teaching improv at Dragon Productions since 2007, will lead small groups in games to create characters and stories on the fly. The six-week course costs $200 (about $33 a session). Go to dragonproductions.net. See how innovations in travel have woven themselves into art at the Cantor Arts Center exhibit "Speed and Power" through March 21. The free exhibition looks at how artists have represented the effect of trains, planes and automobiles on modern life. To learn more, go to museum.stanford.edu. San Francisco-based baroque ensemble Musica Pacifica will explore two contretemps in the high baroque musical scene in Europe at a concert at All Saints Episcopal Church in Palo Alto on Sunday, Jan 10. 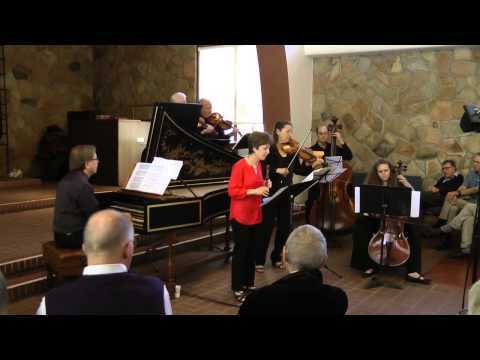 Performers include Judith Linsenberg, recorder; Elizabeth Blumenstock, violin; David Morris, viola da gamba; and Katherine Heater, harpsichord. Tickets cost $30, $25 for seniors and $12 for students. Go to brownpapertickets.com/event/2480096.